Hi everyone! 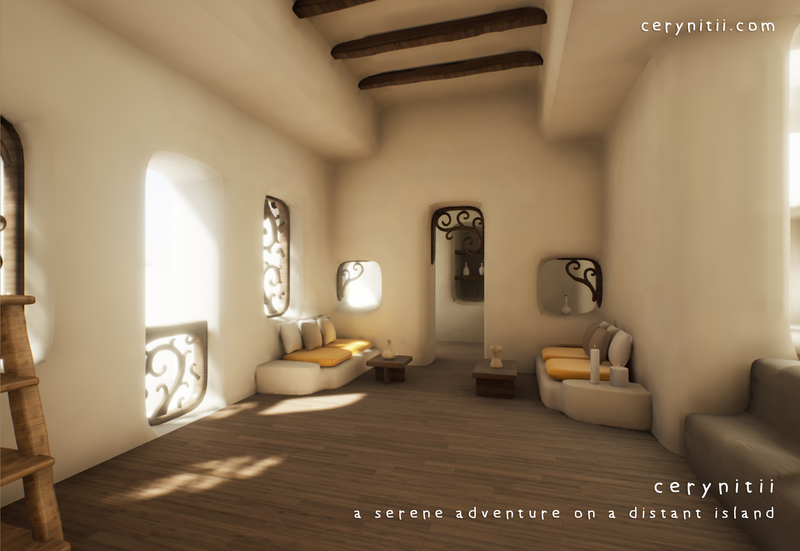 and welcome to the Cerynitii development blog, where all news, updates, trailers and more will be posted. 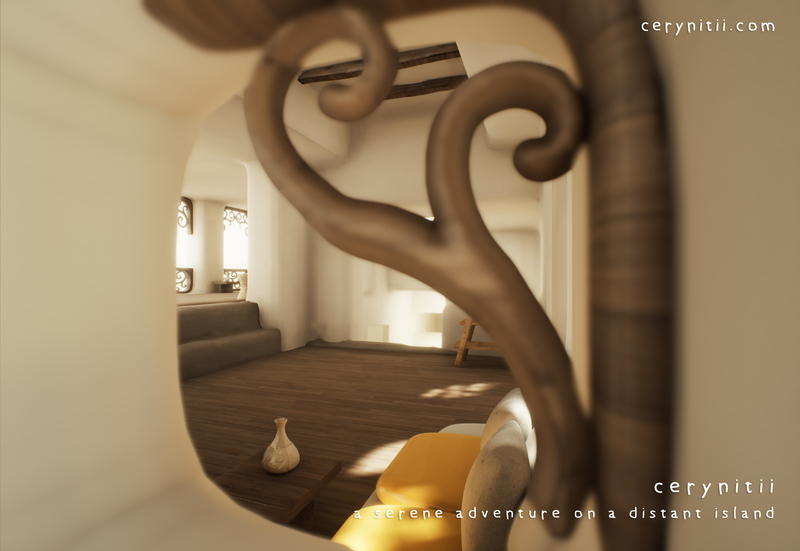 This is the first blog entry, so stay tuned! 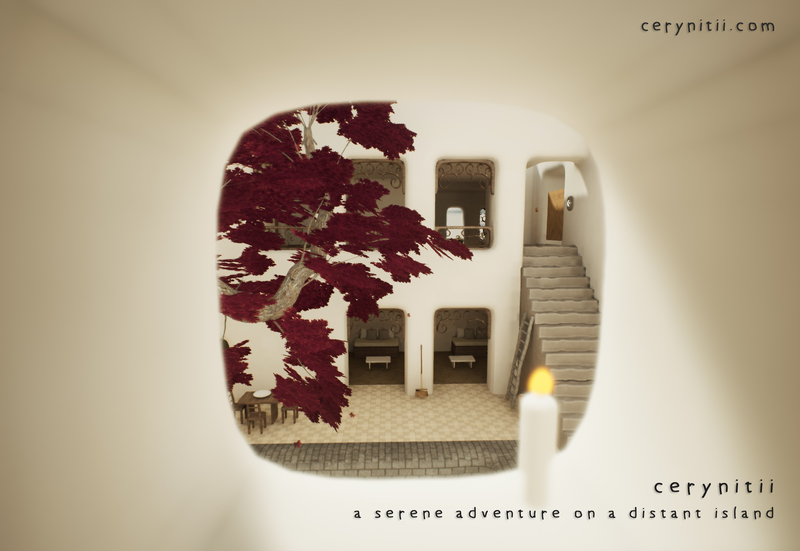 Cerynitii is a first person puzzle exploration adventure game for the PC, inspired by great games such as Myst, Quern, The Witness and many others. 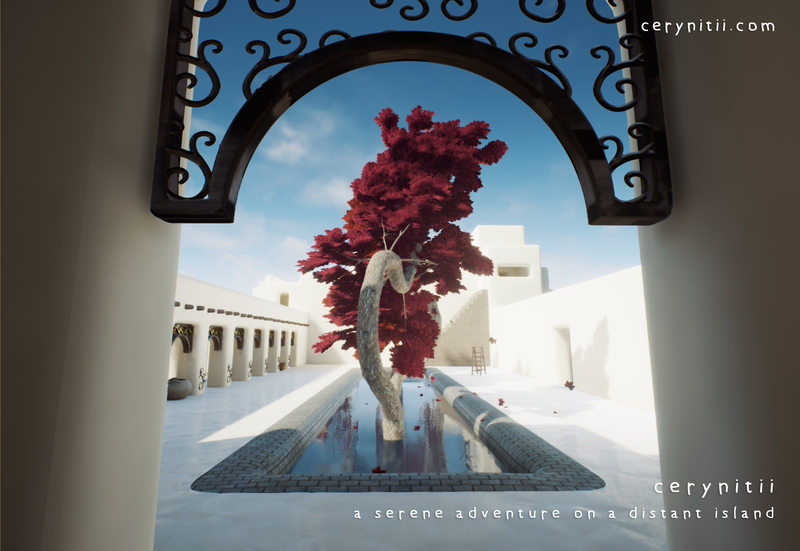 Currently, Cerynitii is on the Windows platform and it is still in the early development stage. 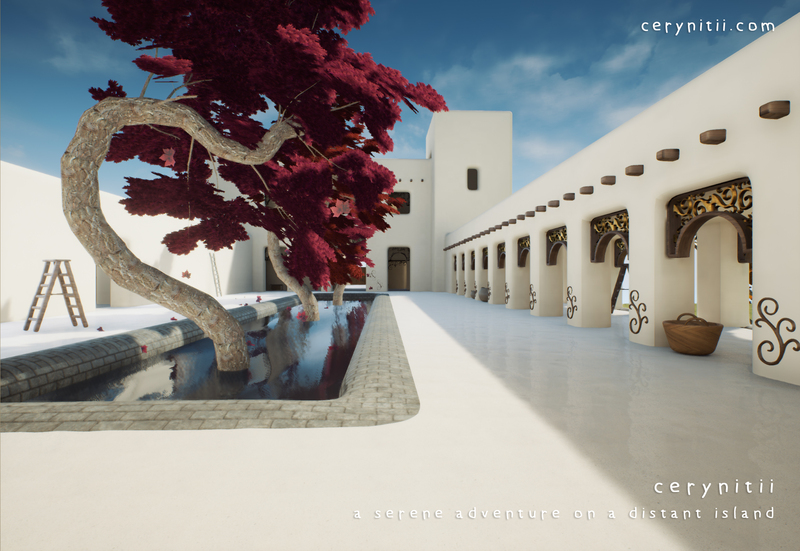 The game uses Unreal Engine 4, which is considered by many gamers and game developers as the most capable gaming engine in terms of graphics and realism. 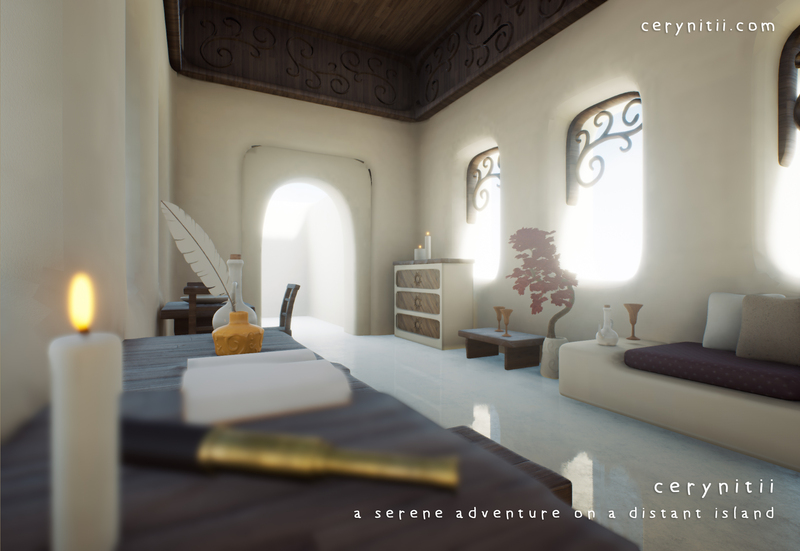 Cerynitii takes you to an adventure on a distant island, where you have to solve puzzles and explore new areas while the story slowly unravels. 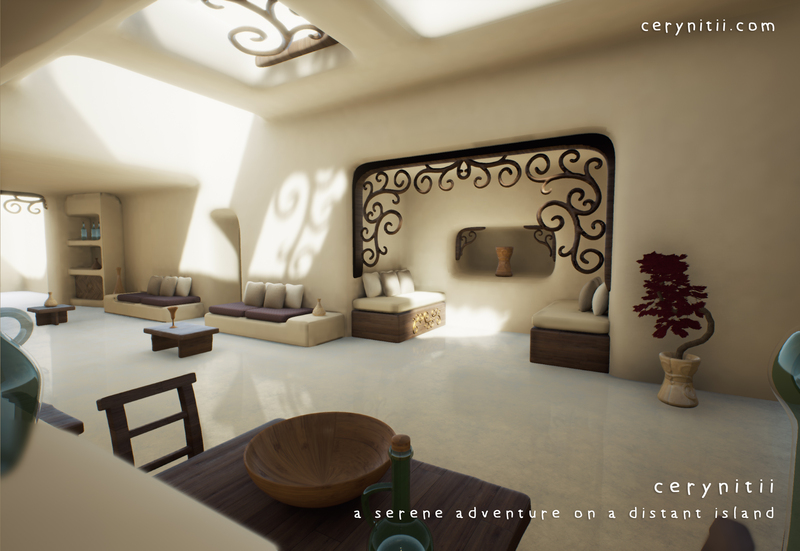 The whole experience is meant to be a calm, peaceful and soothing adventure. 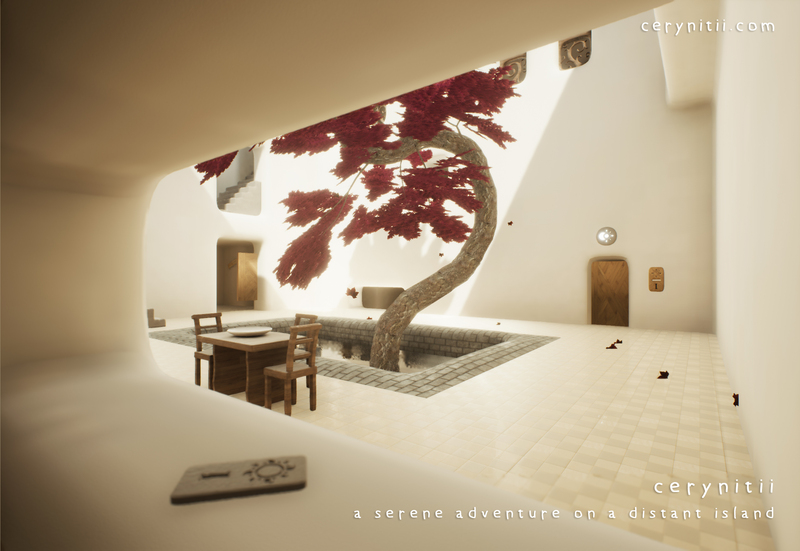 This is greatly reflected in the game art design, color palette, choice of sound effects, and the story as well. 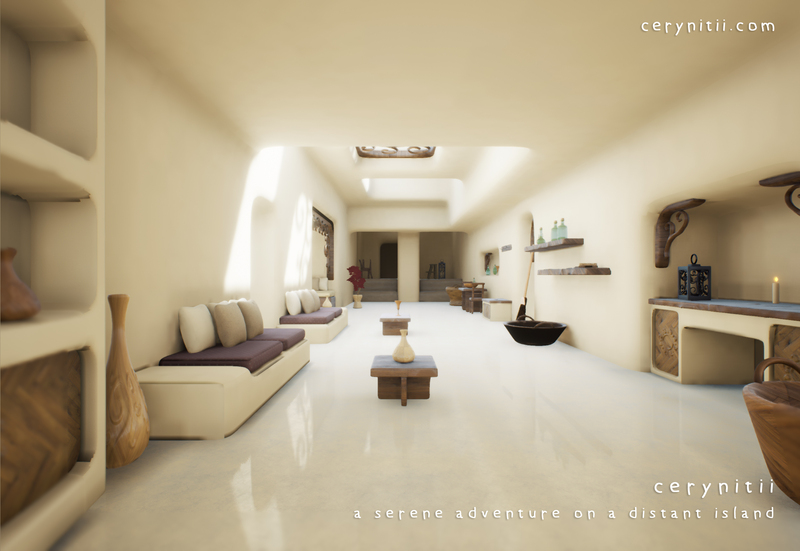 The game art is greatly inspired by the beautiful architecture of The Santorini Island and the serene beauty of Moroccan and Damascus houses. 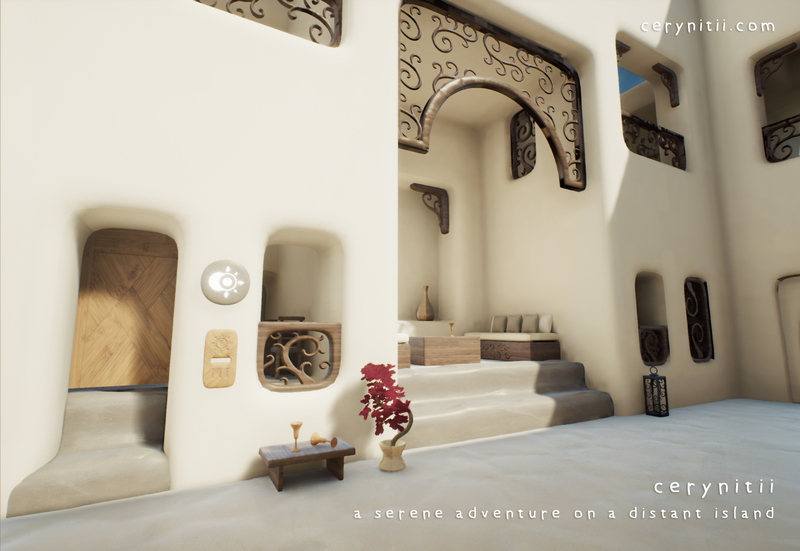 Colors and materials are chosen carefully to match the feel and mood of the game. 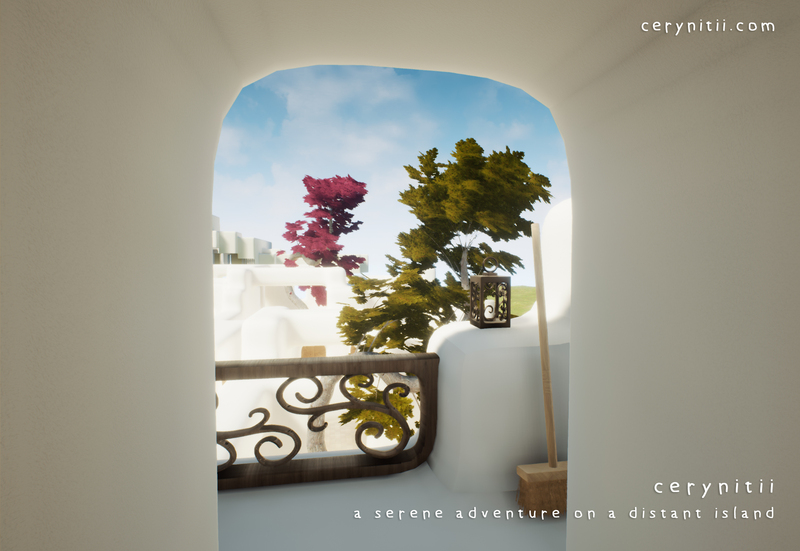 Cerynitii tries to introduce a couple of new gameplay features in the genre and at the same time take advantage of already existing ones. 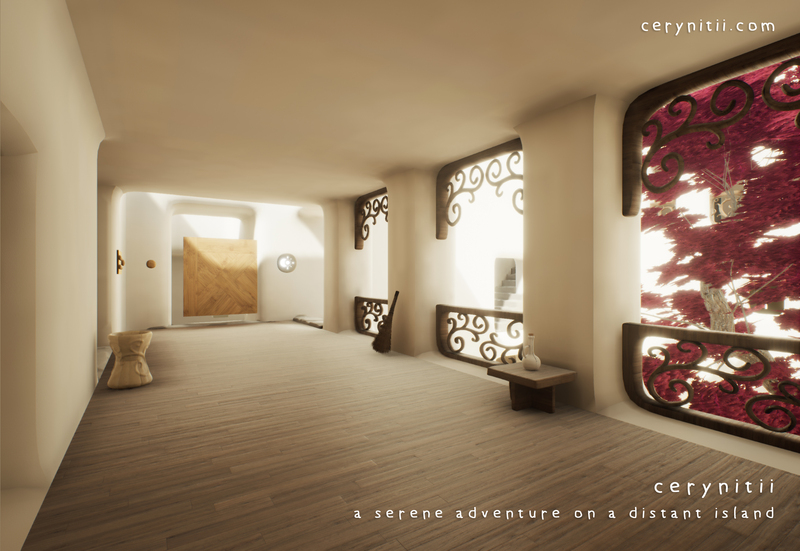 More on this in future posts. 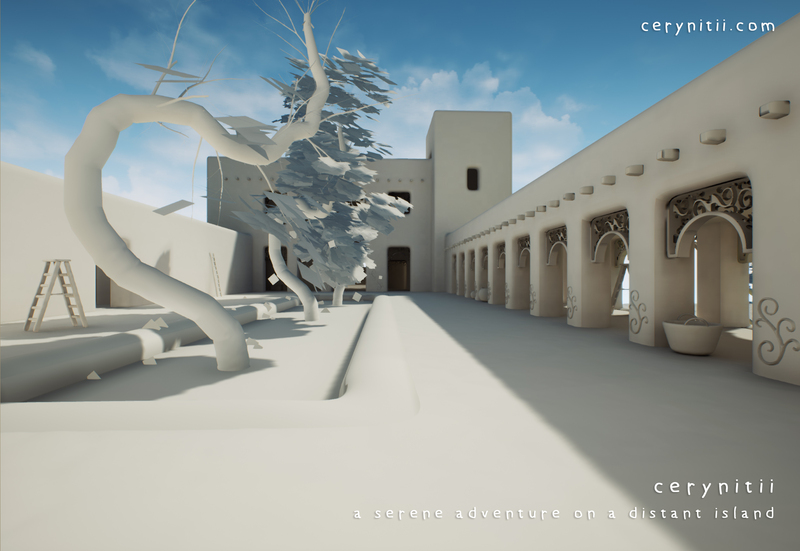 Your support for this game is of great importance, and I thank you in advance for visiting the website and reading through the blog. 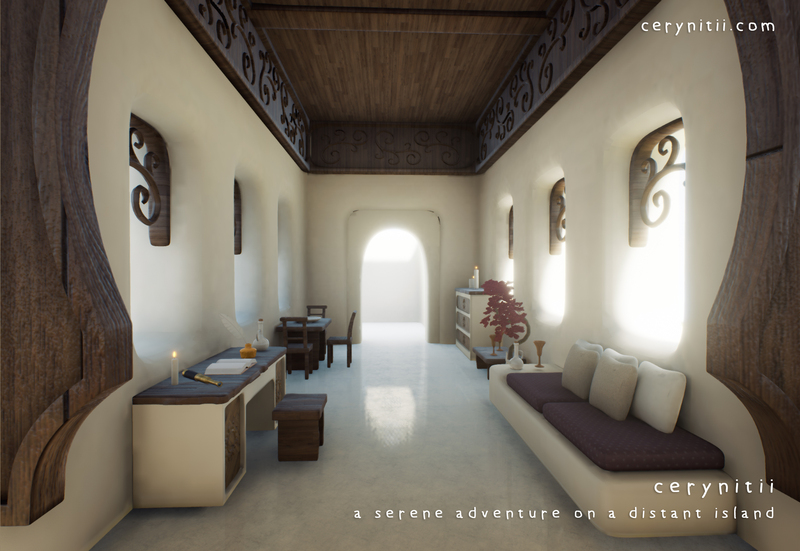 Please share this page and spread the word and stay tuned for future posts! 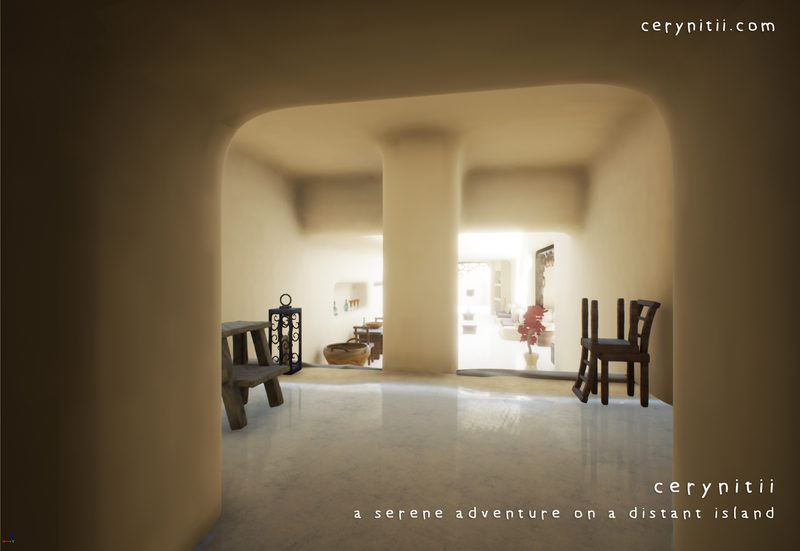 Please also check Cerynitii’s Instagram page (of which the links are provided below), give it a like and share :). 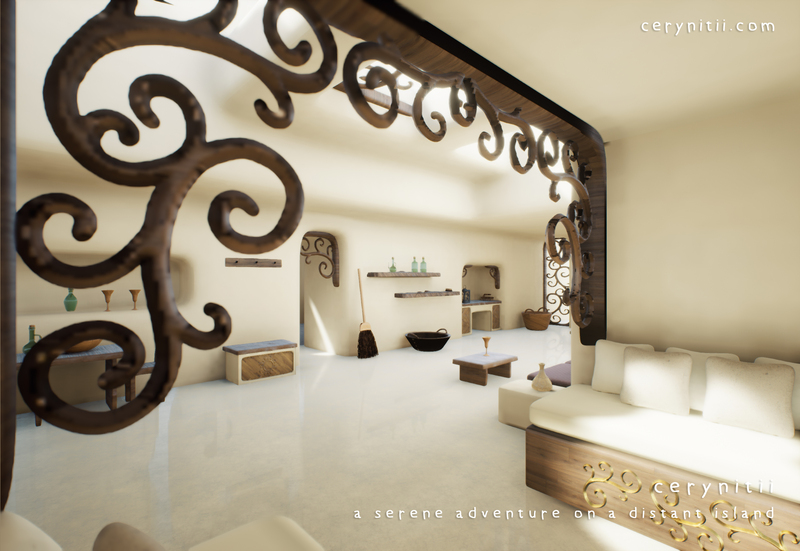 There is also our Twitter page which also has its link below, don’t forget to follow it. 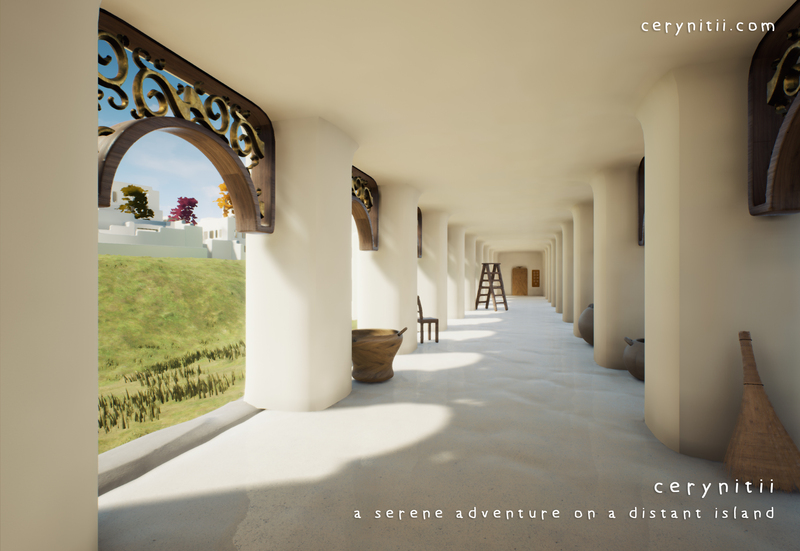 In addition, soon the first development trailer will be available on the Cerynitii YouTube channel. 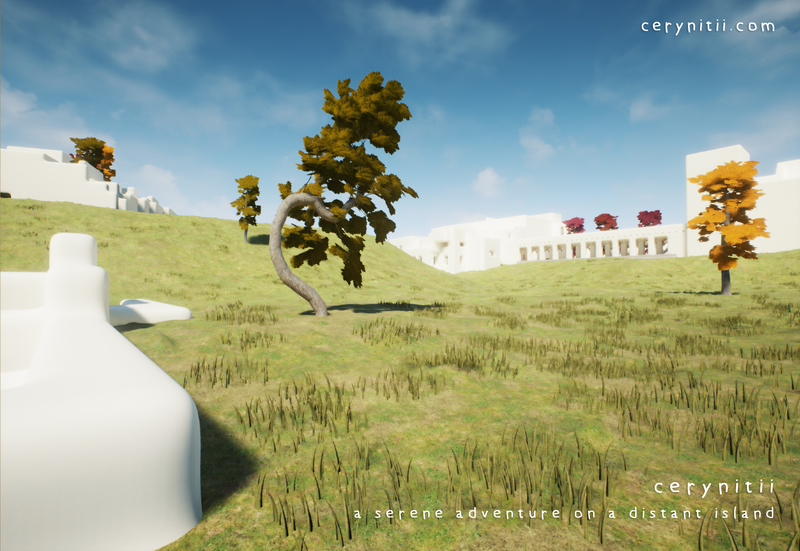 In the meantime, please enjoy these selected screenshots taken from the game which are still early-stage and will improve as the game development progresses.